Is the season winter capitalized? 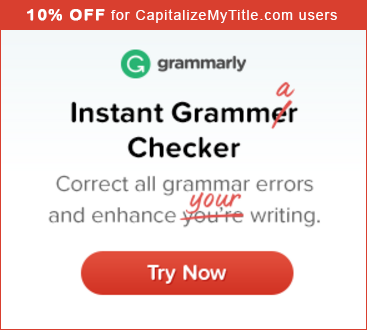 Do you capitalize “in” in a title? Do you capitalize “is” in a title? Do you capitalize “world” in a title? Do you capitalize “with” in a title? Do you capitalize “it” in a title? Do you capitalize “university” in a title? Do you capitalize “the” in a title? Do you capitalize holidays in a title? Do you capitalize days of the week in a title?